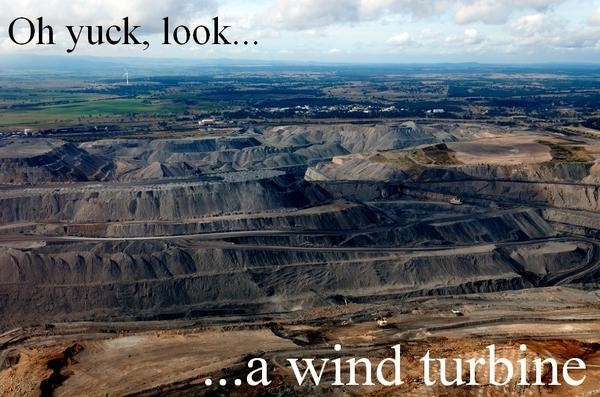 Wind Parks: Heavenly Vision or Eyesore? Here is the vision for our zero-carbon future: Everybody will get around in electric cars. And all the electricity to run those cars will come from renewable sources, like solar and wind, both as good as zero carbon, once you start manufacturing them using energy from solar cells or windmills that you've already built. Another source of renewable energy, hydropower, already provides more than 6 percent of the electricity consumed in the United States in 2015. They were built in a gung-ho time: first their construction gave lots of jobs. Once they were finished, they supplied electricity to growing cities as well as water to both cities and agricultural users. Not to mention the opportunity for water sports, in all those places that would normally not have enough water for a row boat, never mind yachts and water skis. People love dams. But oddly enough, people don't love wind parks. That's too bad, because wind is actually one of the most promising sources of clean energy. Already, at 60,000 megawatt (MW) installed capacity, it supplies 4 percent of the electricity used in the nation, and it's growing by leaps and bounds. Back in 2008 wind already generated 52,000 gigawatt-hours of energy. A gigawatt (GW) is a billion Watts. But those 52,000 GWh is a tiny fraction of how much energy could potentially be generated by wind in the US: That number is mind-bogglingly large: 37,000,000 GWh, or 30 times the nation's entire current electricity consumption. Conveniently, the wind potential is reasonably well-distributed, peaking over a broad swath of the midwestern states as well as at the coasts. 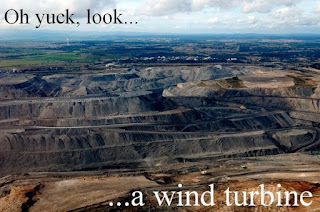 So why aren't we buliding wind parks like mad? The reason has to do with something that can be neither reasoned, or measured: it is what people consider to be beautiful. People who live near a site where a wind park is proposed tend to say that wind mills are ugly, and mar the beauty of their view. Or that tourists will stop coming to their beach if an offshore wind park is visible from the boardwalk. I personally beg to differ. I think modern wind mills are rather beautiful, and it always lifts my spirits to see a row of them turning in that stately way. It smells of clean energy: of wind un-burdened by soot particles and mercury and ash; of innovation and ingenuity; of the future. If I wasn't happily married already, I would not mind getting married on a wind park. 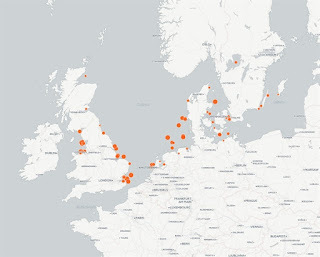 As a tourist, I would love to go visit an offshore wind park, which are said to attract, over time, a ecosystem of marine life around their bases where fishing boats cannot come. An offshore wind park is a marine safe zone, and I could easily see going boating or snorkeling there. And afterwards I would go back to the shore and do all the beachy things you do on a beach, all the while admiring the windmills in the distance. I really don't see the problem with wind mills. But even as people have enough sense to prefer, when given the choice, a wind mill over a fracking rig in their back yard (duh! ), when someone actually wants to build a windmill the heels tend to get dug in deep. Especially when it comes to their sea view. And that is why most offshore wind parks are in Europe. In 2014 Denmark got 39 percent of its electricity from wind. On one gloriously windy day in July 2015 its wind parks generated 140% of its needs. 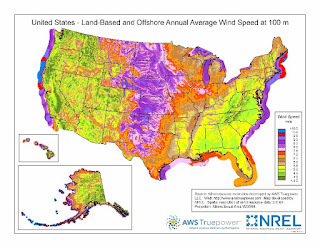 In the US, there are no offshore wind farms. Which is a real shame, because the potential on both coasts is enormous. Those seaside communities could tap into that huge resource, all carbon free. It would bring jobs. The parks would become marine sanctuaries that attract tourists and more jobs. If you look at it that way, wind parks are beautiful! Anyway, it beats mountain top coal mining, or digging for tar sands. "The butler - I mean the software - did it."